It has been two weeks since my Mom and I came back from our road-trip through France and I still find myself browsing through the photos I made of our trip. 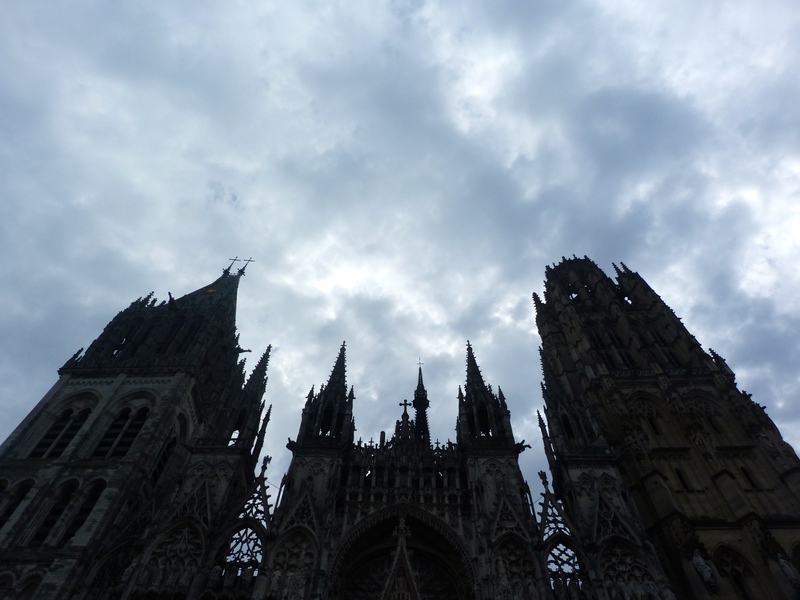 This photo diary shows you our second stop, in the city of Rouen, where we encountered vikings and witch-trials, remembered Harry Potter and did some shopping. Scroll down to find out more! 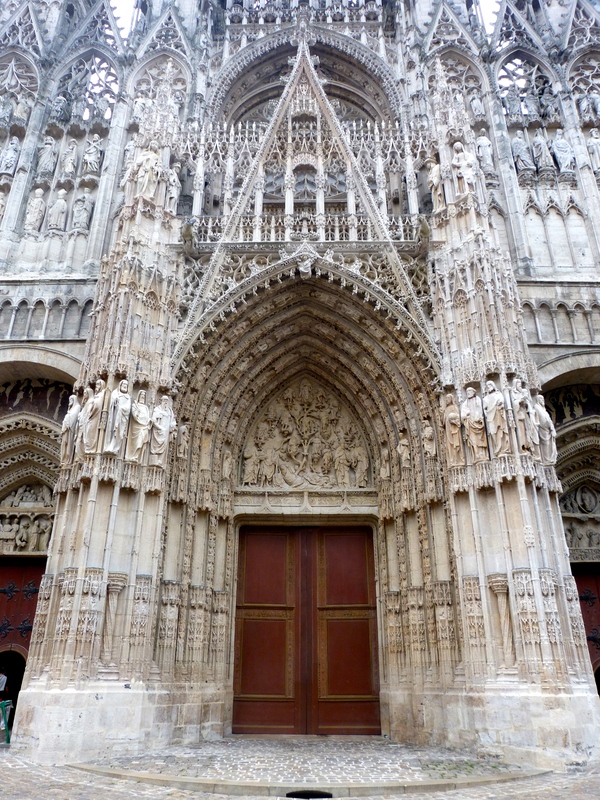 From our hotel, we walked towards the Cathédrale Notre Dame of Rouen. 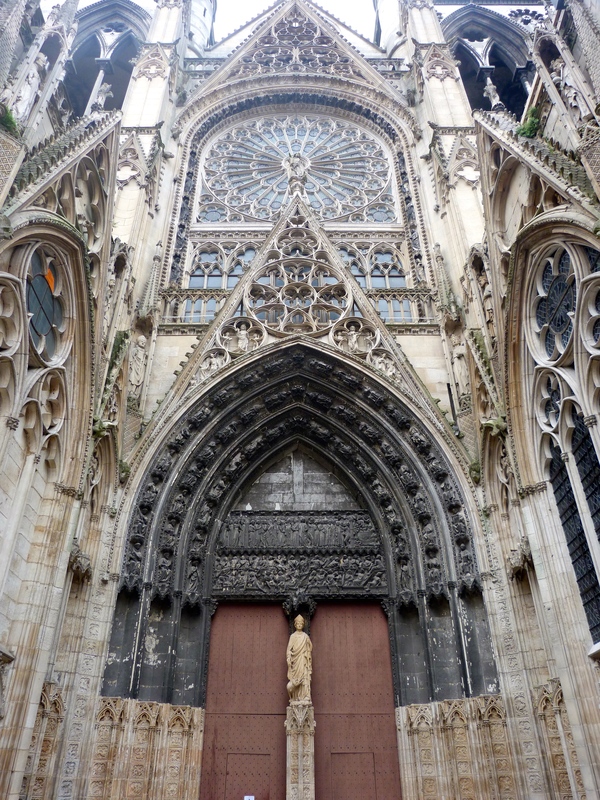 Something that I have learned that week in France: apparently every city and town has a Notre Dame, not just Paris. 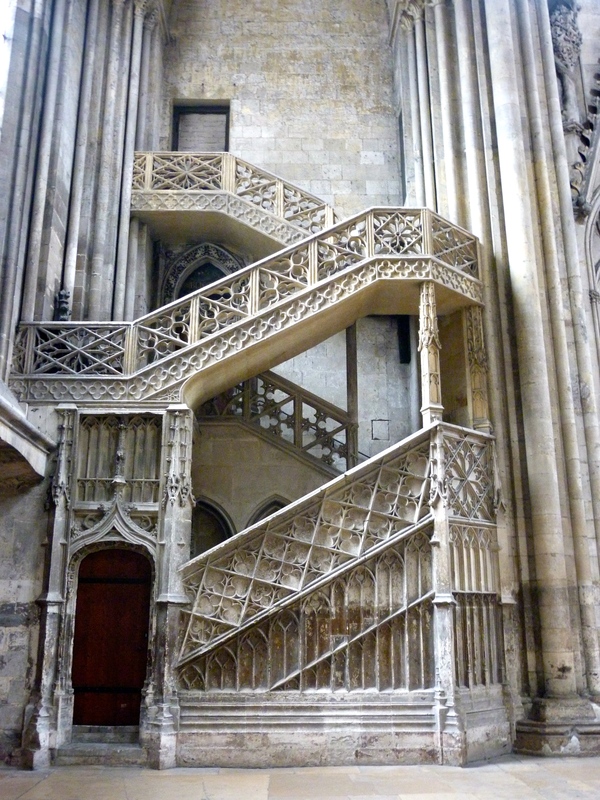 And Rouen was no exception! The cathedral was grand and magnificent, truly impressive. It was that tall, I could not even fit the whole cathedral in one photo! The inside of the cathedral was just as impressive and somehow, it reminded me of Hogwarts. The grandeur of the first photo made me think of the great hall of the famous school of Wizardry and Witchcraft. And then the photo just above, does that not look like the moving staircases? 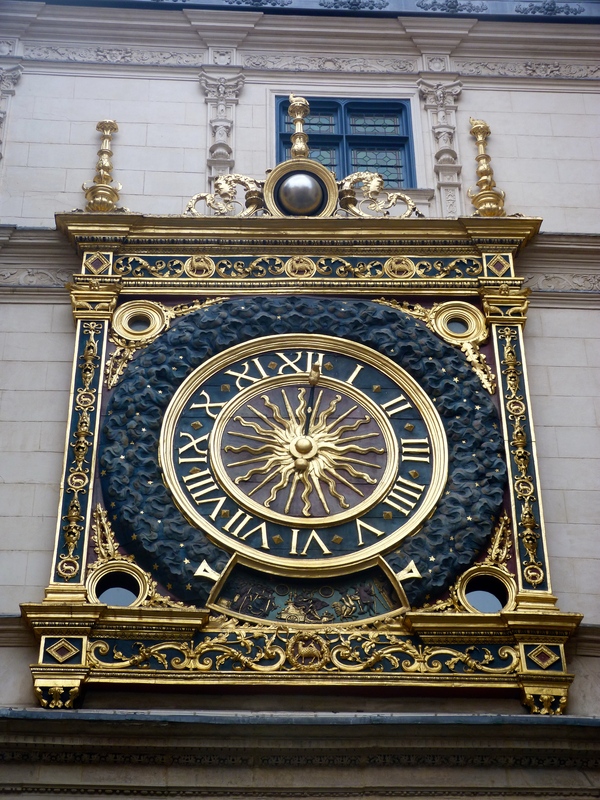 From the cathedral, we crossed the square towards the Rue du Gros Horloge, which means “the street of the big watch”. 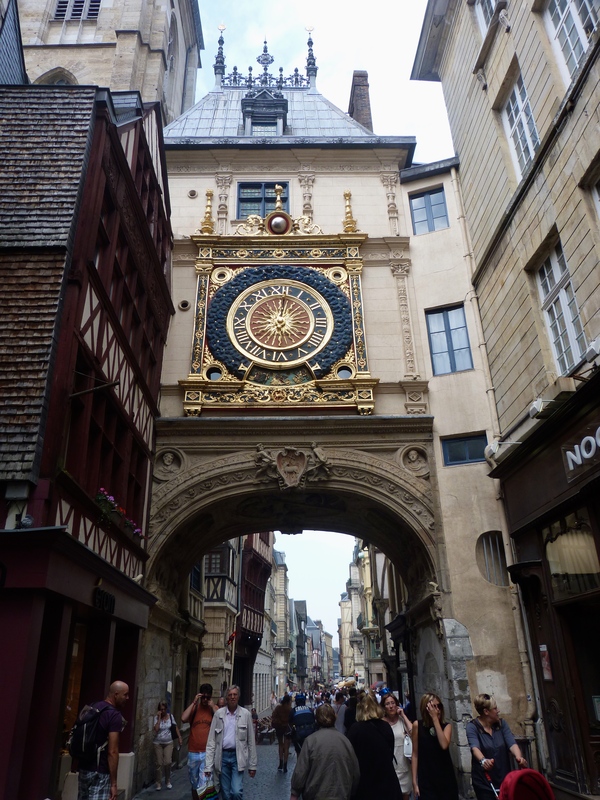 A very suiting name, because this street guides you towards another pearl of Rouen: the beautiful golden clock, towering over the shopping street and its visitors. This street is actually a shopping walhalla, with brands such as Pimkie, New Look, Lush, Minelli and many, many others! 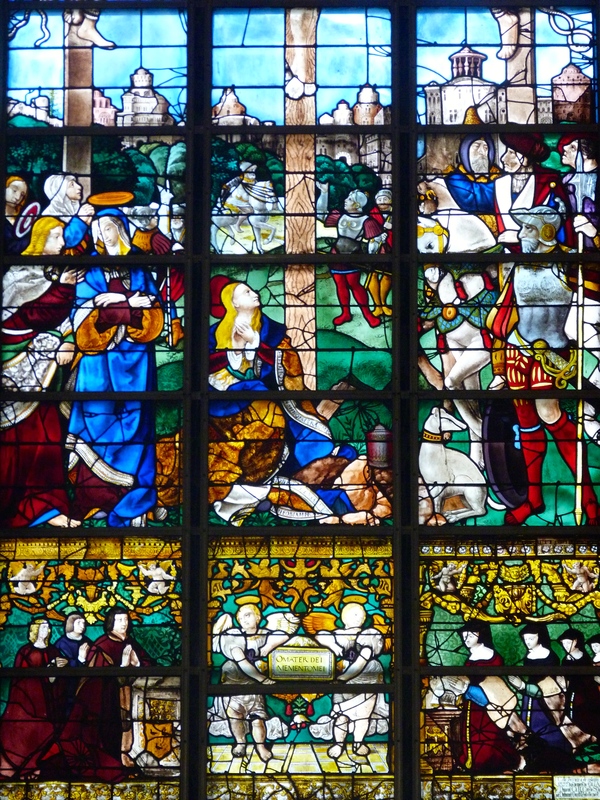 From the golden watch, it is just a short walk towards the Église Sainte Jeanne d’Arc, which is a fairly new church, built where the witch trials took place and where Joan of Arc was burned for heresy in 1431. 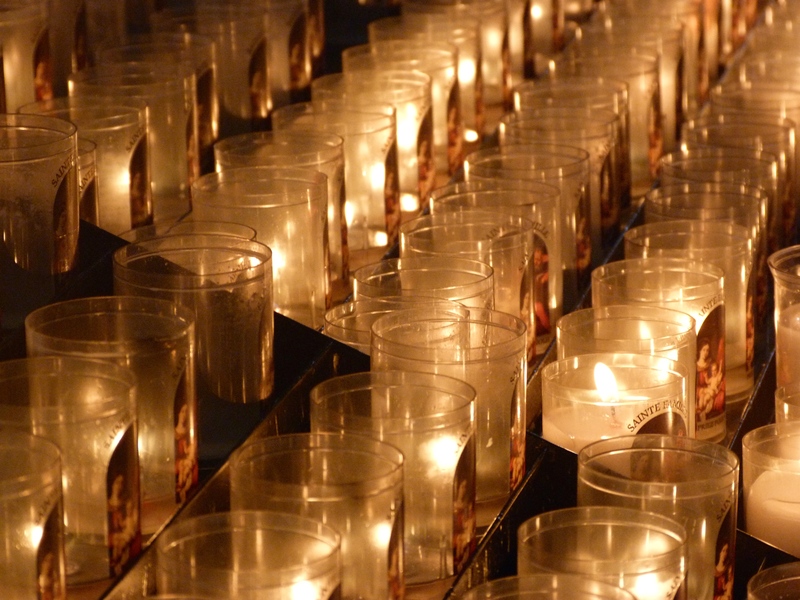 The church was built to remember her and the design is supposed to echo her sufferings. The building is supposed to look like flames, consuming Joan of Arc. 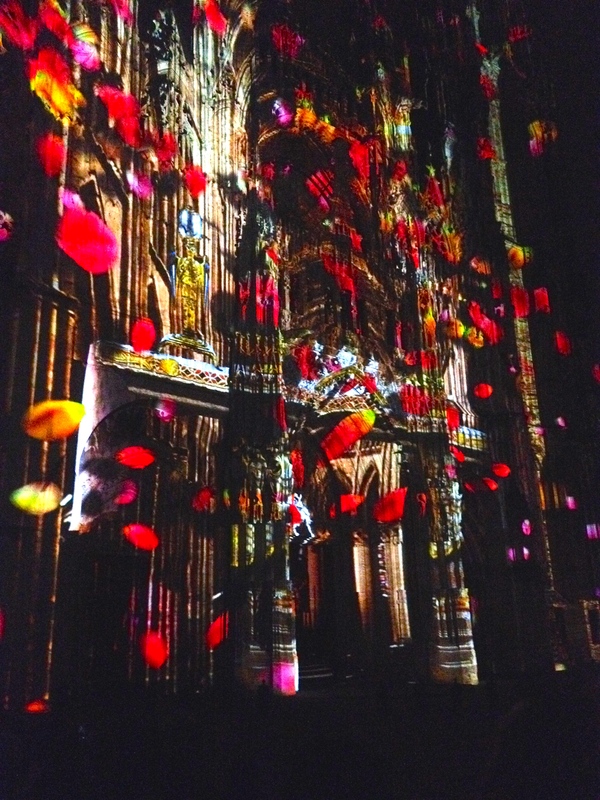 Our main reason for going to Rouen was actually to see the “Cathedral of Light”, which is an animation show that is being projected upon the Notre Dame of Rouen. 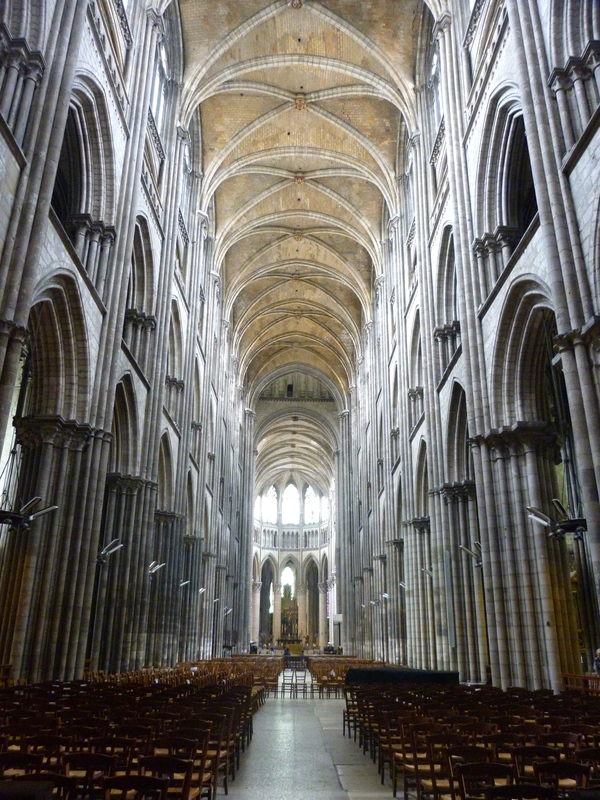 Until recently, they showed the paintings of Monet, all tall and beautiful upon the church. But when my Mom and I arrived in Rouen, we learned that the city is now showing new animations, namely “Vikings” and “Joan of Arc”. We were so bumped at first, because we came to Rouen to see Monet’s paintings come to life, but we decided we did wanted to see the other animations and so around 22:00, we left our hotel. The city was dark and loads of people were making their way towards the square, which was already packed when we got there. 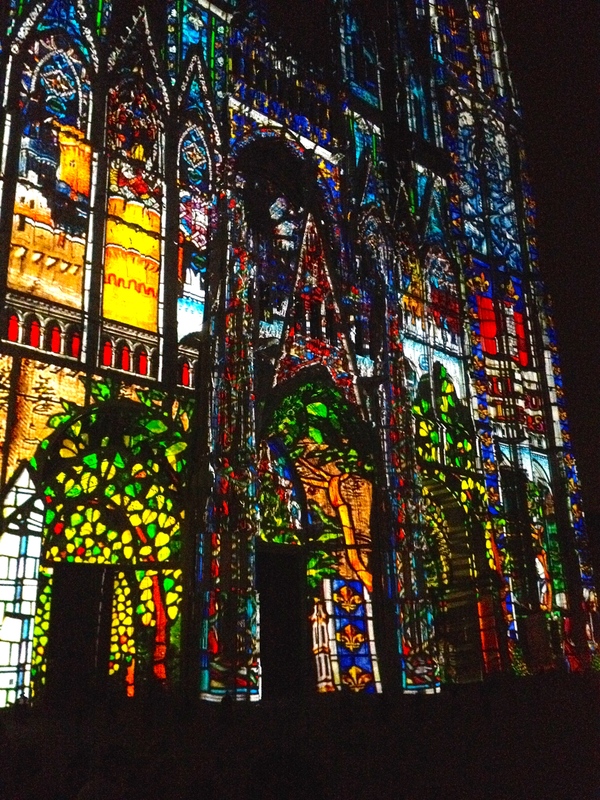 We found a spot to sit down and enjoy the magnificent light and sound show that is the Cathedral of Light in Rouen. 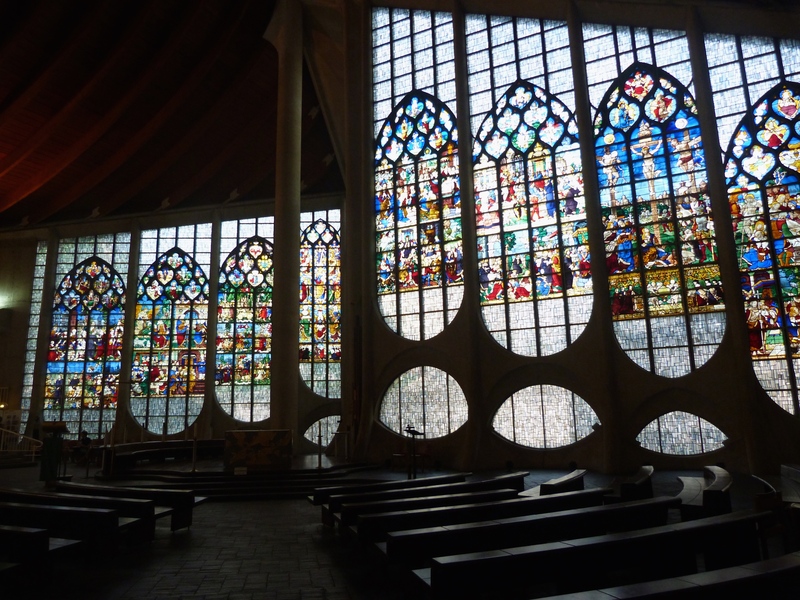 It is absolutely breathtaking and definitely worth checking out whenever you find yourself in Rouen. 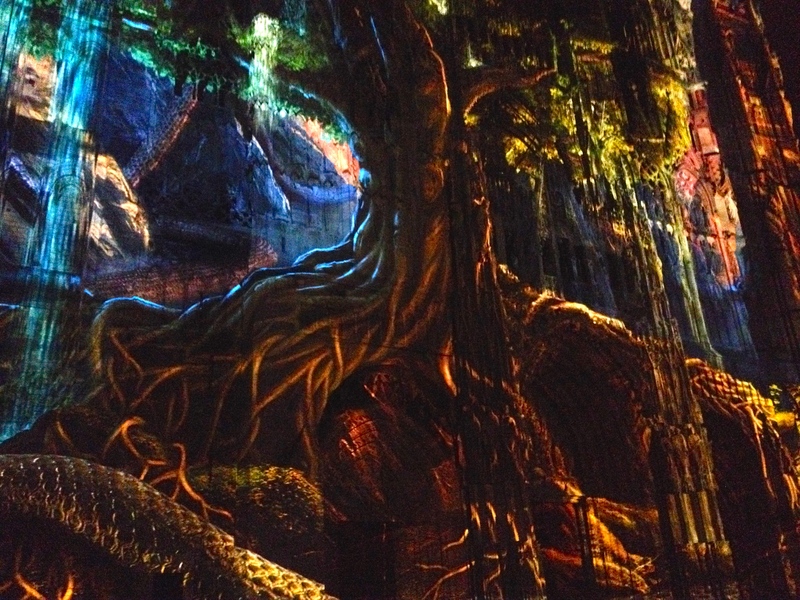 I found myself completely enchanted by the animations, as they moved across the cathedral. The images were so powerful and high quality, that I sometimes forgot that I was watching just images being projected onto a building. It was absolutely magical. The next day, we left Rouen and drove towards the coastal town of Étretat. Our final stop will be up on the blog in the upcoming weeks, so be sure to check out Almost Famous Writer to keep up to date!